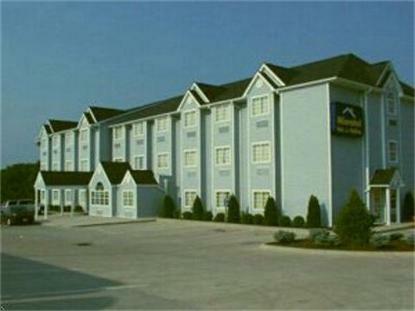 The Microtel Inn & Suites of Dry Ridge, KY is conveniently located between Lexington, KY (about 48 miles) and Cincinnati, OH (about 42 miles). We offer our guests FREE Continental Breakfast, FREE High-Speed Wireless Internet Access, FREE Local and FREE Long Distance Domestic calls. We have rooms with 1 or 2 Queen Size beds or Suites with microwaves, refrigerators and in room coffee makers. Jacuzzi rooms are available upon request. We have for your enjoyment cable TV including many favorite channels such as ESPN, HBO, CNN and the Weather channel. Pets are allowed for a small non-refundable fee. Also truck parking is available. I-75, Exit 159E on SR 22 Directly off Exit. Located at end of road between Shell Gas station and Wendy/s Restaurant.